Two of the most powerful cloud platforms are G Suite and AWS. There is a great deal of overlap between their customer bases. In fact, when G Suite first emerged as Google Apps, many of their customers were startups. Those same startups decided that they didn’t want to build their own data centers, and instead opted to leverage Amazon Web Services. The two platforms largely go hand-in-hand. The challenge, though, for organizations that have both G Suite and AWS is how to connect those G Suite identities with AWS. On the AWS side, IT organizations are struggling with how to manage user access to cloud servers. As the infrastructure grows and the size of the engineering, operations, and IT teams increase, matching those users with the servers they need to access becomes a significant challenge. Most IT organizations start by manually managing SSH access to AWS cloud servers, but that process doesn’t scale. Over time, a new approach is needed and sometimes that may mean that IT or sys admins script user access with configuration management tools. But this too has problems. It isn’t connected into the core, authoritative directory service and ends up being an island for user management. G Suite as an IAM Solution? Often, IT admins will then think about how to connect G Suite identities with AWS to solve this problem. Quickly, IT organizations find out that G Suite identities aren’t exportable or able to be connected to third party systems such as cloud servers, desktops, laptops, on-prem applications, or networking equipment. Organizations that try to manage AWS identities through G Suite alone end up having two separate identity stores. That translates into extra cost, work, and risk. With Directory-as-a-Service® (DaaS), IT admins can connect their G Suite identities to AWS cloud servers. This virtual identity provider serves as the core user database for an organization. Because the cloud hosted directory service is open and independent, it can work with Linux, MacOS, and Windows machines located on-prem or in the cloud. 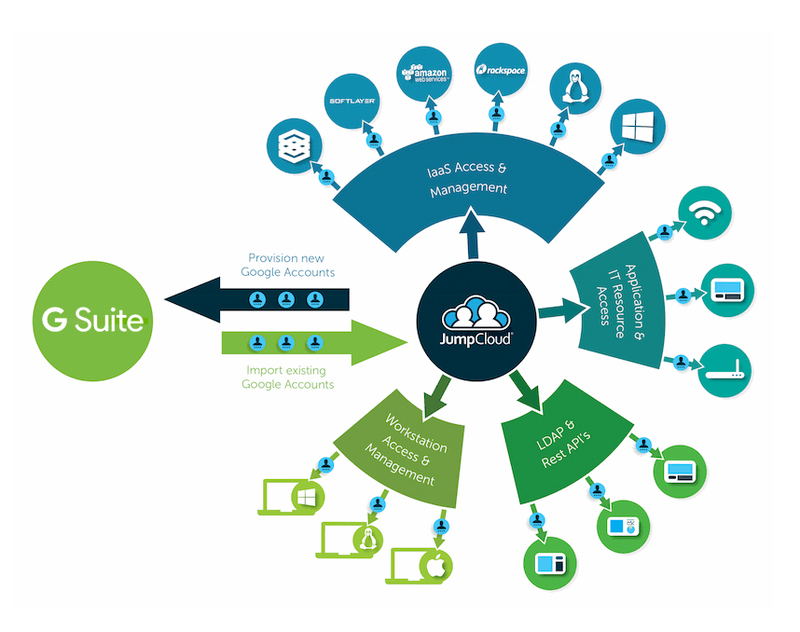 Integrated seamlessly with G Suite, a user’s G Suite credentials can be now be utilized for access to virtually all of the user’s IT resources including AWS servers. For the IT admin, the benefits of Directory-as-a-Service include central control, increased security, and self-service password and SSH key management. These benefits become particularly valuable as the organizations scales and the infrastructure becomes much larger. Having one user database to control access is an important step to keeping the organization secure. 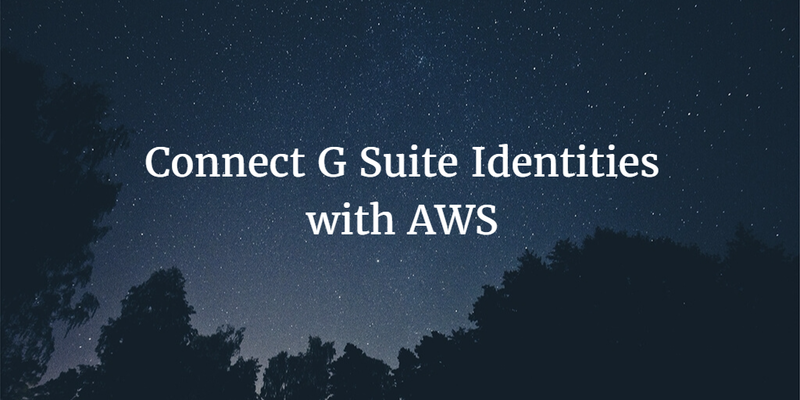 If you would like to learn more about how to connect G Suite identities with AWS, drop us a note. We’d be happy to walk you through how many organizations are using Directory-as-a-Service to be the bridge between G Suite and AWS. Or, give it a try yourself. You can sign-up for a free account and your first 10 users are free forever.